While we were in Puntarenas, we had to try Granizados dos Leches (translates as slushies two milks). It's shaved ice with flavoring, powdered milk, and condensed milk. 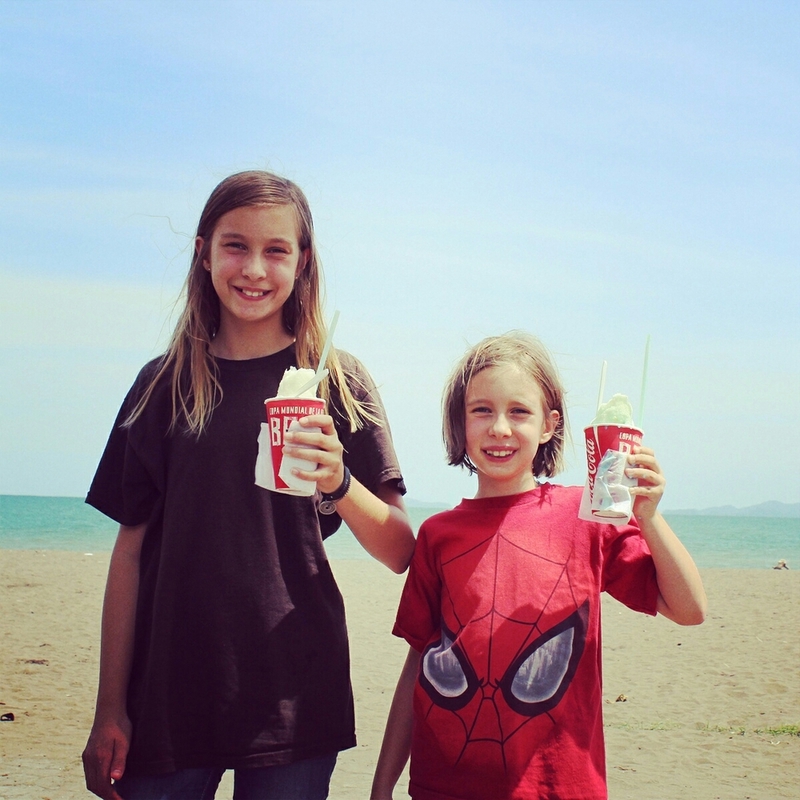 Frankie and Jackie showing off granizados dos leches on the beach in Puntarenas. Frankie chose coconut; Jackie chose bubblegum. The vendor quickly scrapes a large block (that he keeps inside his cart) with a tool that look like a wood planer. He fills a cup about half-way with ice shavings, then he adds powdered milk, more ice shavings, liquid flavoring of choice (our choices were bubblegum, fruit, coconut, and orange), then tops it all off with a generous helping of condensed milk. 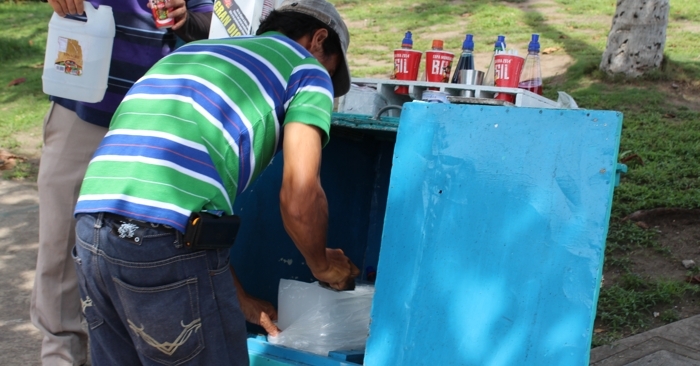 A vendor shaving the ice for granizados dos leches. It's very sweet, and it melts quickly in the Costa Rican climate, but it's a delicious treat.